Greeter – Red Leighten told of his recent move to Lenoir Woods and how agreeable it has been to leave behind the task of spreading melting salt on an icy driveway. He eats out several times a week and has found new acquaintances through his early self-branding strategy. People he has never met greet him as Red. This branding has served him well in sales and now in his new neighborhood. Sign In – Carl Scott paid the pig for no name badge. New Member recruitment event – C.O. Mike Hatchet, Jessica – March 2nd at the dog Master Distillery at 210 St James Street. (the street east of Orr Street Studios) from 5:00 – 7:00 pm. Members are encouraged to attend this event..
Oratorical – Rick reminded members this event takes place this Saturday, 10:00 am, March 4 at our clubhouse. Two applicants have pre-registered. Member are encouraged to attend this event and an audience is definitely needed. Whiteman AFB Derby event update – Rick and Chuck will be attending this event taking place on the weekend of March 11 and 12. Food Bank – Carl Scott, Larry Fick and Jim Murphy are still working on assembling Buddy Pak’s for the Friday distribution. They could use a little help from the membership. Contact Larry at lfick41@centurytel.net/ . Carl reminded folks the MU Baseball team was a great help unloading Christmas tree this past fall. Members are encouraged to sign up for a Baseball Game Day for group attendance on Friday, March 31 at 7:30. Alternate dates are April 1 at 200 or April 2 at 1:00. Contact Carl if you haven’t done so already. .
Art in the Park – Harold Rowe is still in recovery. 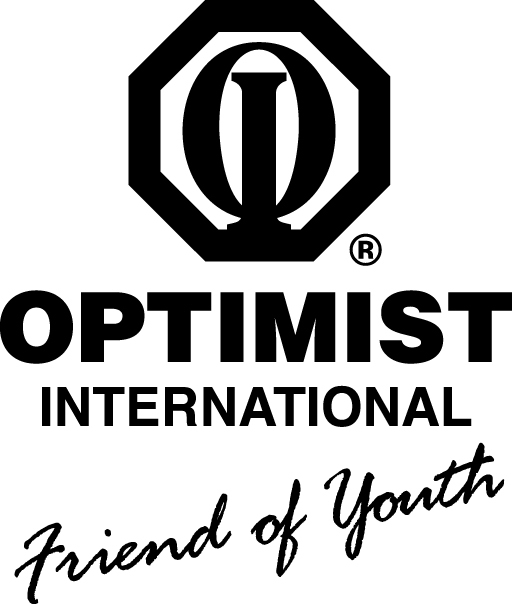 Optimist will have a tent directly adjacent to the Kids’ Art Tent where we Bike Safety and a Derby car will be displayed. Board meeting – Feb 23rd. Report on funding & Treasurers report. Hickman Review requested and was granted $1,000. Fun City Youth Academy returned for funding after their grant terminated. They requested and were granted $3,000 to serve 135 kids in their summer program. Knights of Columbus Fish Fry – Larry Fick announced this event coming this Friday from 4:30 – 7:30 at the K of C Hall on North Stadium. A complementary shuttle service from Our Lady of Lourdes Catholic Church will be provided during the duration of the fish fry. While there is ample parking, very limited parking is available at the Hall site between 5:30 and 6:30. Over 1,400 dinners are served during these Lenten Fish Fries. Steve is the manager for Human Services within the City/County Department of Public Health. The joint jurisdiction of city and county is rare in Missouri as well as the county but it works well in Columbia/Boone County. Both the majority of the county population and majority of resources for human services are located in Columbia. The department is funded by both governments and answer to both the City Manager and the County Commission. However, only 40 45% of his budget comes from these taxing bodies. Over 50% of his budget comes from grants. Steve is also the Director of Social Services where he supervises six social worker focusing 90% of their time on an at-risk child and youth population. This unit focuses on early life development from in utero through age two development. Social workers make home visits to ensure that proper nutrition, child abuse prevention and economic self-sufficiency are maintained. Workers have access to and utilize a variety of resources in the community. Contracting for services is a significant resource for homelessness, domestic violence and kids at risk. Using federal grant dollars, Steve is able to leverage every agency dollar into $47.00. His agency has developed performance measures to ensure the proper outcome of services purchased. Also, the ¼ cent County Youth Mental Health sales tax has greatly expanded the resources for necessary youth and family services that are available to all without the need for contracting. He suggested we invite Kelly Wallis who as Director of Community Services for Boone County administers the $6-7 million annual fund or Les Wagner, Director of Boone County Group Homes and Family Support to hear more about these resources available. Mr. Hollis has a trove of demographic information on poverty, mental health, and crime in Columbia and Boone County; far too much to cover in his short overview of needs and resources for human services in in Boone County.